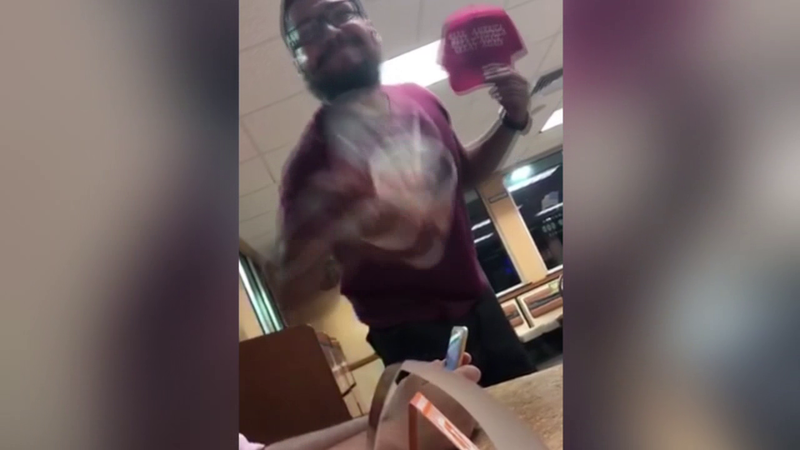 Police are investigating after a teen says he was verbally attacked and assaulted at a Whataburger for wearing a Make America Great Again hat. The perpetrator who assaulted a group of 16-year-olds in San Antonio, TX restaurant is a 30-year old Dungeons & Dragons cosplaying deadbeat who lives with his parents and has an extensive criminal record. Kino Jimenez ruined the evening of Hunter Richards and his friends, who were enjoying a late night meal at Whataburger when he stole Richards’ MAGA hat, cursed him out, and left the restaurant in huff.